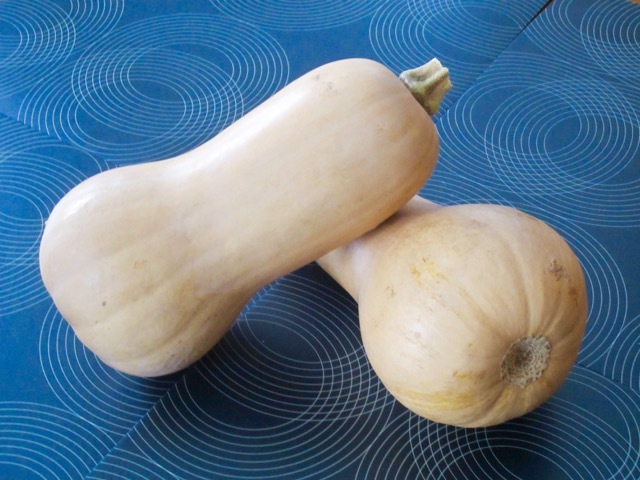 Butternut squash is popular winter squash with a bell-shaped elongated fruit and sweet, deep orange flesh. The fruit is used as a vegetable. 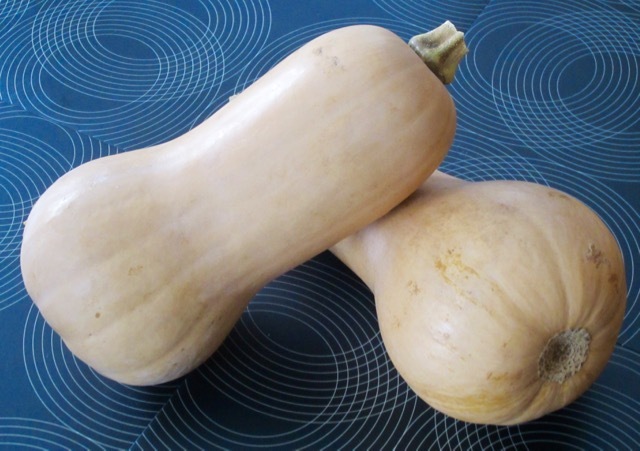 Although the sizes are variable, most of the squashes sold in the supermarket have an average weight of 2-4 pounds (0.9-2kg). The flesh is deep orange in colour, mildly sweet, with a distinctive butterscotch flavour that most people find delicious. 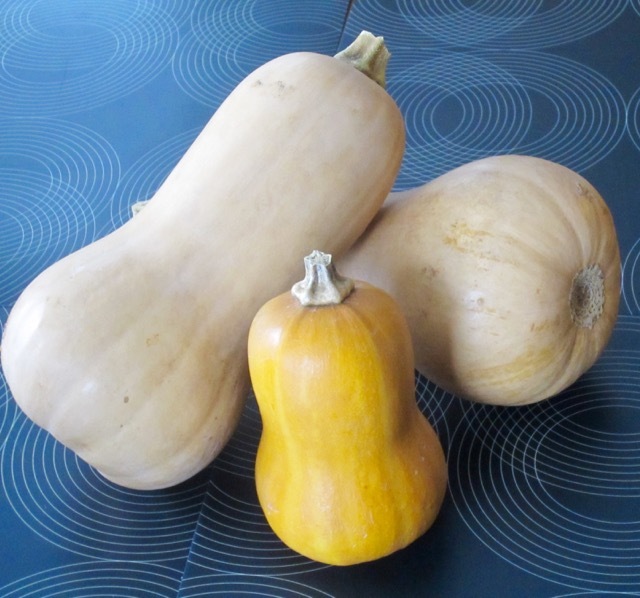 The smaller squashes tend to be the sweetest. 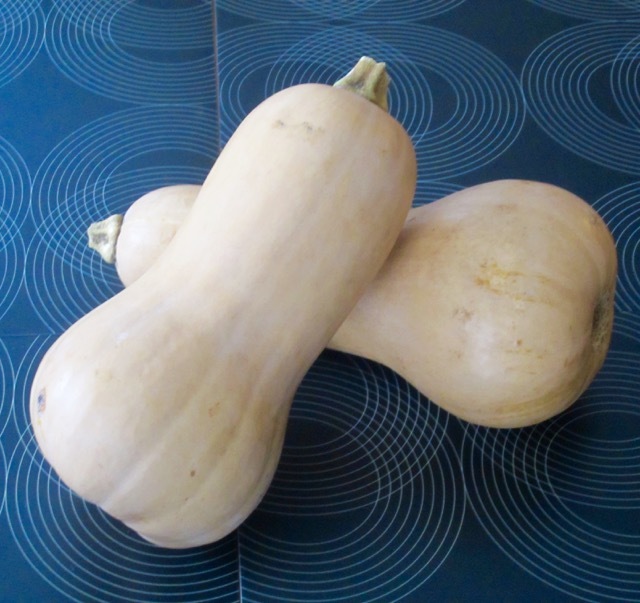 The skin is smooth, tan yellow and tough when raw, but softer than hubbard or acorn squash. The skin softens after roasting and can be eaten. The seeds are edible, raw, or roasted or toasted. Cooking: butternut squash is best steamed or baked and is excellent topped with maple syrup or sprinkled with brown sugar and butter before baking. It can also be sautéed in butter; puréed for soups, risottos or pasta sauces; or mashed and used in baking breads, muffins and pies. To prepare the squash: cut off both ends, peel the tough skin using a vegetable peeler, slice into halves lengthwise and scoop out the seeds from the bulbous end. Cut into required sizes depending on what you want to cook. The squash can also be roasted skin-on because the skin softens, after roasting. Butternut is so easy to cook and the flavor is rich and tasty. Yes I just had some for lunch today!!! !